Legal studies, a liberal arts multidisciplinary major involves the values, meanings, institutions, and practices of legality and law. The legal studies program observes the laws shaped by the cultural, economic, and political forces. The students often get perplexed just by going through the several complex concepts involved in the program. At Master Coaching Hurstville, the legal study tutor helps the students and motivates the serious understanding of the academic outlines, cultural embeddedness, and historical dynamics of law to the students. 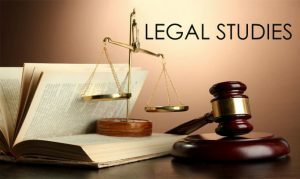 How does the Legal Study Tutor Help? To succeed in legal studies, students are not only required to understand the concepts and its role in the society, but they must also be able to make links between these ideas and the cases in the real life. Being a content heavy subject, the students are required to understand not only the concepts that embody the legal system but they must also be able to appraise, evaluate, and understand its effectiveness, impacts, and role in creating the outcomes for society and the individuals. Through the legal study program at Master Coaching Hurstville, the legal study tutor help the HSC and preliminary course students to embark on a close study of Australia’s legal institutions, crime, concepts of justice procedure, international law and electives ranging from family to world order. Why should you join Master Coaching Hurstville legal study tutoring? Apart from a great environment and thorough coverage of the subject, the legal study tutor at Master Coaching Hurstville needs a special mention. With knowledge in a wide range of subjects consisting of Advanced English, Extension 2 Mathematics, Physics, Economics and Legal Studies, the legal study tutor at Master Coaching Hurstville are developed with both analytical skills and ability to solve problems of the students quite easily. The legal study tutor at Master Coaching Hurstville is ATAR score holders of 99.45 in HSC and state rank holders for legal studies. Not only academics, the legal study tutor at Master Coaching Hurstville are great at communication and customer service in English and Mandarin. They are meticulous and give great attention to detail. With the ability to use Microsoft Office, social media platforms, and Photoshop, the legal study tutor at Master Coaching Hurstville simplifies the ideas and communicate vital information to the students. They express the concepts and assist the students whenever they need, presenting the products and ideas with several examples to make it easier for the students. The legal study tutor empathise and critically analyse the problems to resolve the struggles of the students. The legal study is definitely a difficult subject but when you get the best legal study tutor throughout your course, you need not worry about obstacles. We offer each of our students with an individually customised program designed to balance the student’s specific curriculum or syllabus with a space for remedial or extension work as per requirement. The legal studies tutors at Master Coaching Hurstville works with classroom assignments and also plan for the forthcoming tests. All our tutors ensure that the students are well prepared for legal studies throughout the school year and HSC Exam.